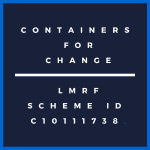 With the CONTAINERS FOR CHANGE program taking off at speed around the state, LMRF has registered for this program and our SCHEME ID is C10111738. Most clubs will be across this program but it’s as simple as each time you go to the collection/recycle point you can nominate that any money made from recycling goes to the Foundation by giving this ID – C10111738 – to the co-ordinator on site. Late last year, the Minister for Environment and the Great Barrier Reef Leeanne Enoch said Queenslanders were embracing recycling through the container refund scheme. Only a few weeks into the program, it was reported that more than 10 million containers had been recycled, meaning that more than $1 million has gone back to Queenslanders and charities. A great start to a great program! !